The PUMA Big Big SALE goes to Tiendesitas! Check it out on December 1-3, 3017 from 11am to 10pm at Tiendesitas Activity Center. 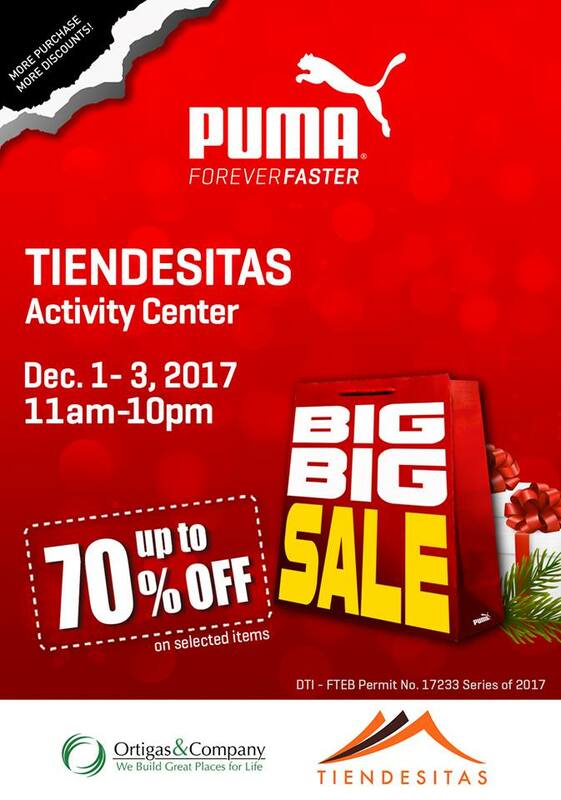 Enjoy up to 70% off on selected PUMA shoes, apparels, and accessories!